TCAF was the last stop on my 2015 “spring tour,” otherwise known the overly ambitious and poorly planned festival application bender that left me committed to back-to-back weekend events for a month and a half. 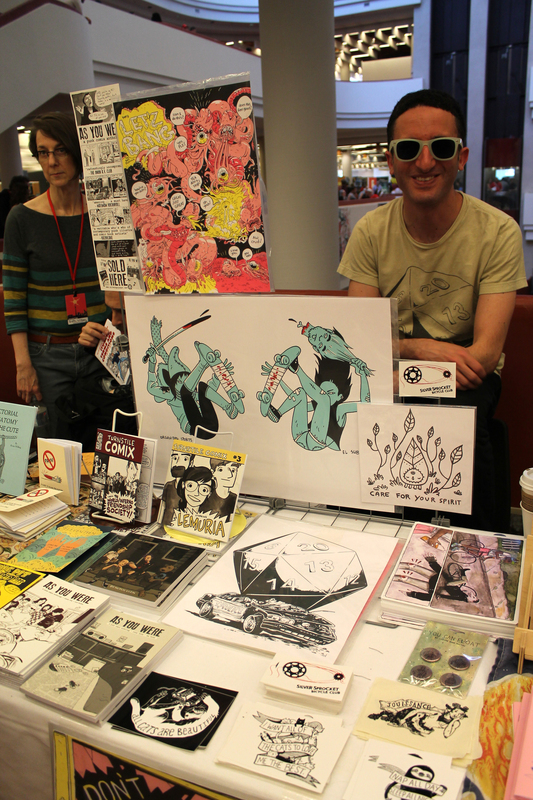 So by the time TCAF rolled around I was sick of comics events, and maybe even sick of comics. I didn’t even want to go. But I had sunk $450 into the plane ticket, the table fee, and the hostel, so there was no going back. Long story short, I departed Toronto encouraged, confident, and in love with comics again. So it was a pretty great show. 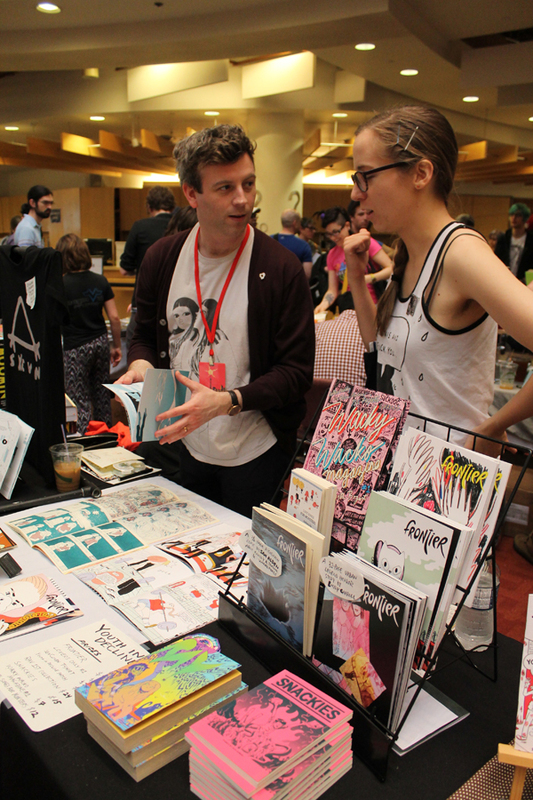 TCAF is a big and complicated show, and it would be impossible for me to give an exhaustive overview. But I will try to offer some thoughts on my experience at the show, in handy set of pros and cons, tailored specifically with the small publisher in mind. The guest list was absolutely stellar this year, partly due to D & Q’s 25th anniversary celebration. 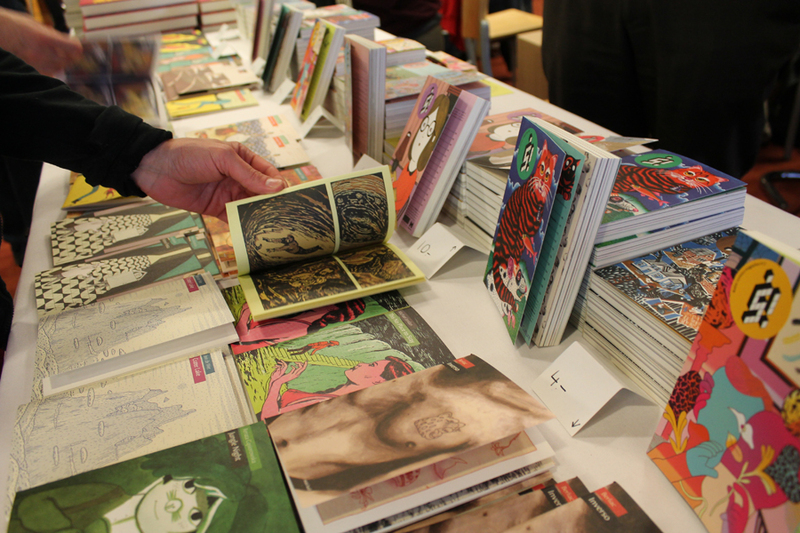 Many out-of-town Drawn and Quarterly authors made the trip, including Lynda Barry, Jason Lutes, and Adrian Tomine. I was practically tripping over my comics heroes. New for this year, TCAF invested in an dropship location near the Canadian border, but on the American side. American exhibitors could ship their boxes there, and TCAF would have them transported over the border and to Toronto. This meant that American exhibitors could ship their books without paying exorbitant international shipping fees. Heck, you could even ship book rate if you planned ahead! This is a real game changer. I love this library. If books were given the reverence they deserve, this is what every library would look like. Even though it’s a challenge to fit a festival into this living space, it’s worth it. This should be the norm, folks. $175 Canadian for a half table is hard to beat. This is probably my best selling show. I actually sold out of several books, which rarely happens for me. From Thursday to Sunday, there’s a lot to see and do. If you came for nothing but the programming, you’d leave pretty educated by day four. Also, there were lots of parties. 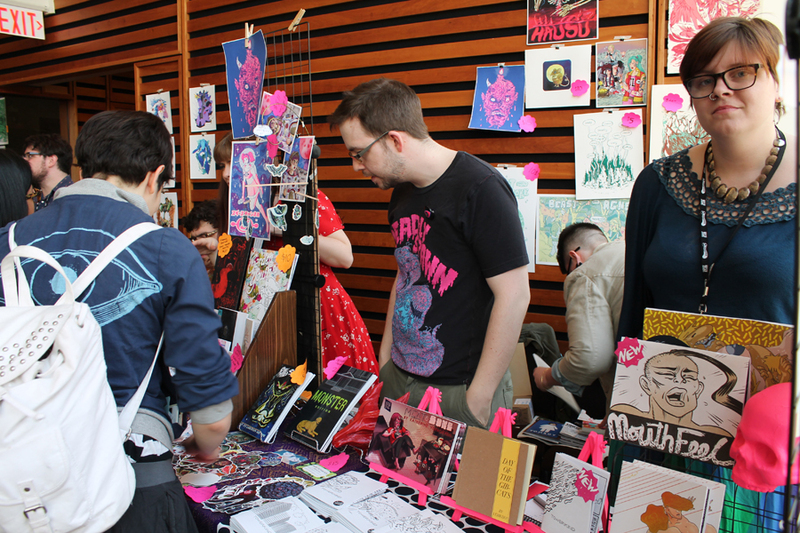 Because this is a free event, and because it’s in a popular public space in the heart of the city, all sorts of people come to TCAF. This show attracts book lovers, and not necessarily the ones steeped in comics fandom. It’s really refreshing to show my work to new eyes, not just the same people I’ve being seeing at conventions for the last fifteen years. Day one started at 9am (!) which would be hard to take without the Friday night set-up. I wish all festivals did early set-up. I generally haul all my gear by myself, and having this extra time really helps. I made some new friends got to know some old ones better. After day one we went to a nearby park to nap and read comics. This is the way it should be done. Maybe I missed the emails (totally possible) but I don’t think TCAF sent me information about programming, parties, or events. I found out by arriving in Toronto and reading the local newspaper. Sometimes the event information TCAF provided was scant or incomplete (the programming seemed to run more smoothly). But what can you do, right? This might seem like a small complaint, but it’s my biggest beef with the show. On both days, starting at an hour before the show was scheduled to close and on until closing, announcements were made over the PA. Attendees were told when the show was ending, which was acceptable, but they were also asked to make their way for the door, which was NOT acceptable. Exhibitors travel thousands of miles and spend thousands of dollars to be at TCAF. Every minute counts. You cannot ask our customers to leave an hour early. That being said, I love TCAF. As a small publisher, it’s up there with CAB and SPX. I’ll come back every year if they’ll have me. 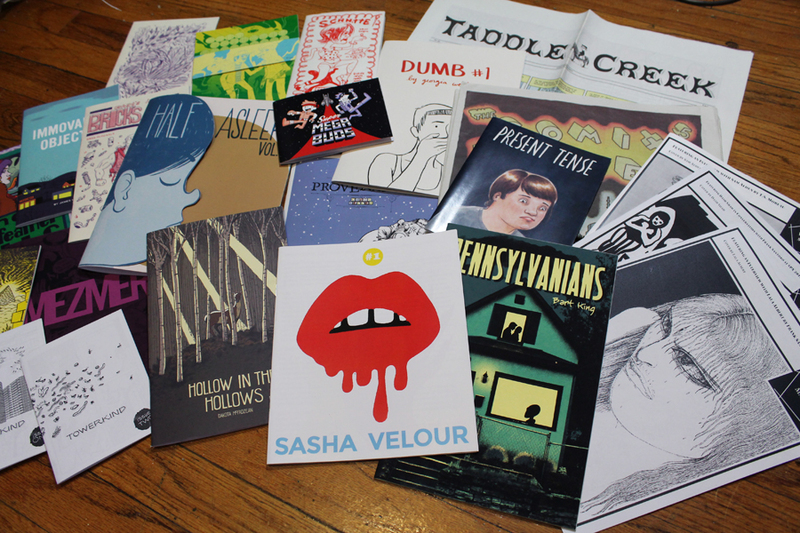 Here are some of the micro-publishers I chatted with at TCAF. I was able to collect several more entries for my micro-press list! 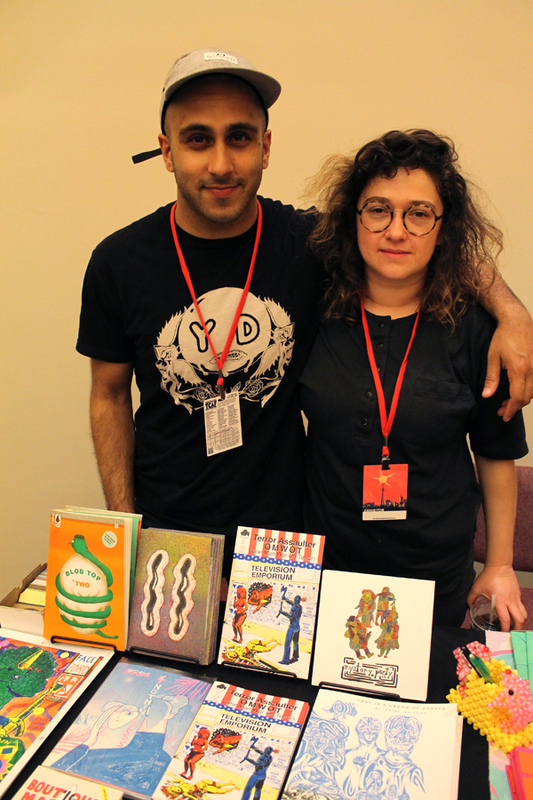 Jesjit Gill and Jenny Kapichen of Colour Code, a Toronto-based Riso publisher. Study Group’s Zack Soto with co-editor Shanna Matuszak. Sebastian Frye of the Toronto-based Swimmers Group. Ryan Sands of Youth in Decline, with author Sophia Foster-Dimino. The spread at the Space Face table. George Wietor of Issue Press, a micro-press out of Grand Rapids. Leon Avelino of Secret Acres, with aythor Robert Sergel in the background. 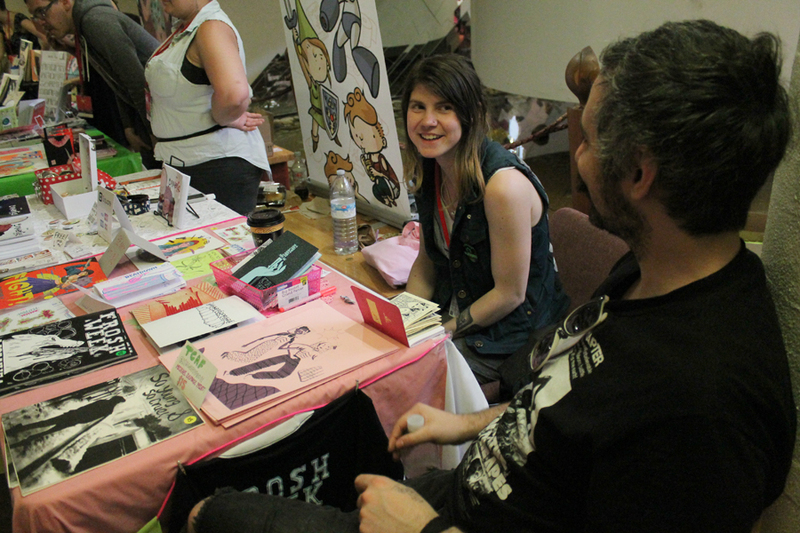 Gabby Mulholland of Montreal-based Sucker Press, with Dietrich Rosteck (on the right). Avi Ehrlich of Silver Sprocket, a punk label and micro-press. Avi was my table mate, and I could learn a lot form his salesmanship. He’s been running Silver Sprocket for over a decade, it’s his day job now. 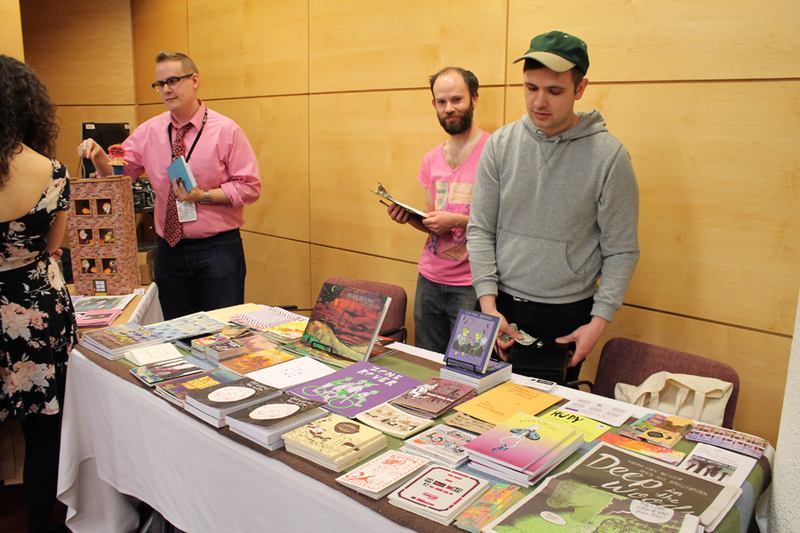 I’ve never heard of this happening before, so I’m going to go out on a limb and say that TCAF is the first independent comics convention to open it’s own permanent retail shop (correct me if I’m wrong). What started in December as a pop-up shop in the Toronto Public Library has now been rebranded as the permanent fixture Page and Panel. All the stores profits will be reinvested into TCAF. For Toronto as a cartoonist’s town, I’d say another strong comic shop like this is a real asset. 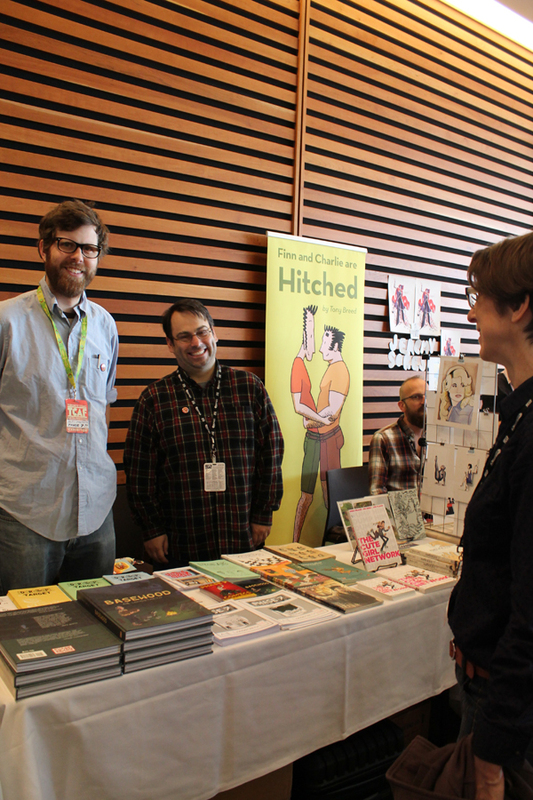 I do wonder if Page and Panel will be competing against TCAF’s own exhibitors come festival time, albeit in a small way that’s not really worth grumbling about. Would-be exhibitors, start your engines! 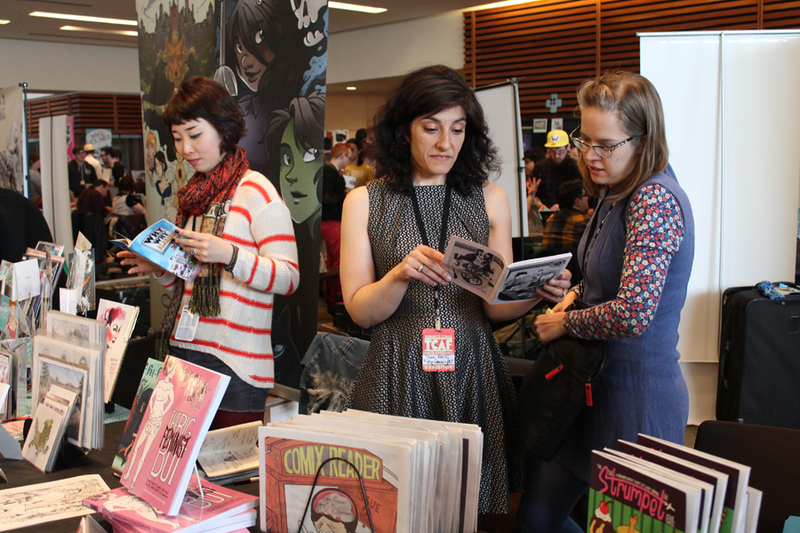 TCAF just opened up the application process for their 2015 show, which will be held on Saturday May 9th and Sunday May 10th (with a Professional Development day on Friday May 8th). Don’t dilly-dally, because they are only accepting applications until October 17. I’m curious about which publishers would be exempt. Would this generally include micro-publishers? Would this include me? 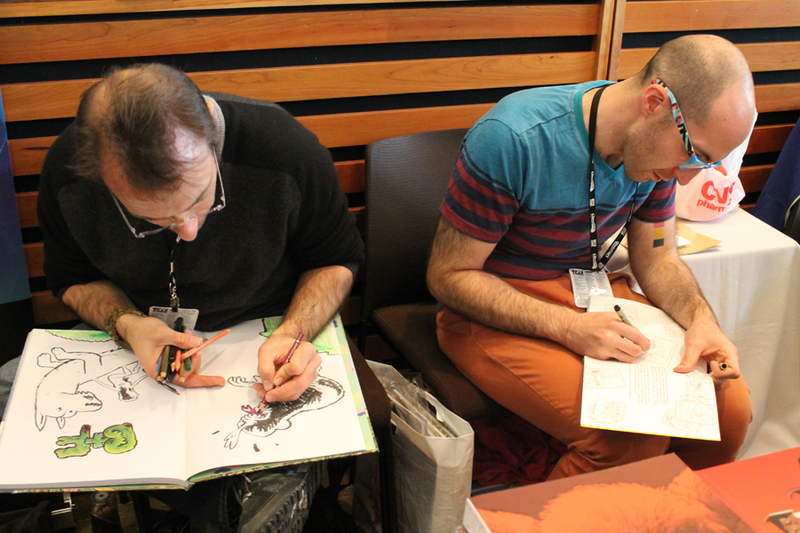 I attended TCAF for the first time this year, and I’d like to return in 2015. I’ll just apply and see what happens. 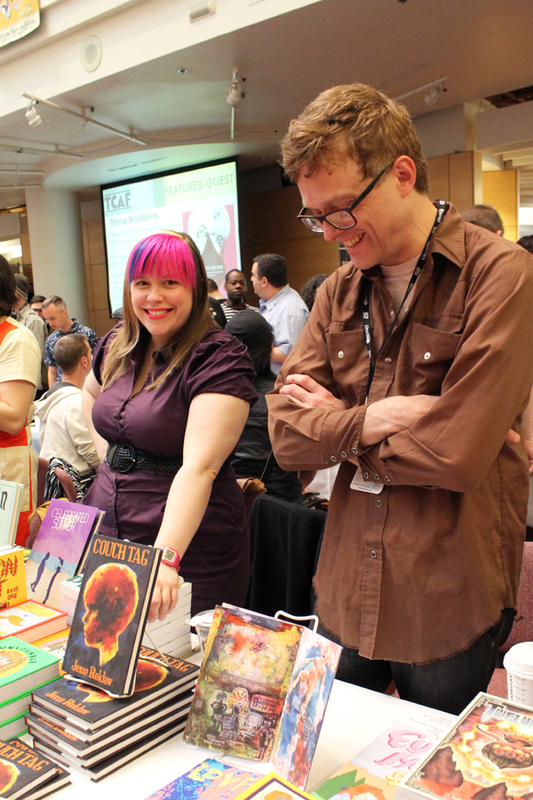 “This is your first TCAF?” I heard that a lot last weekend. 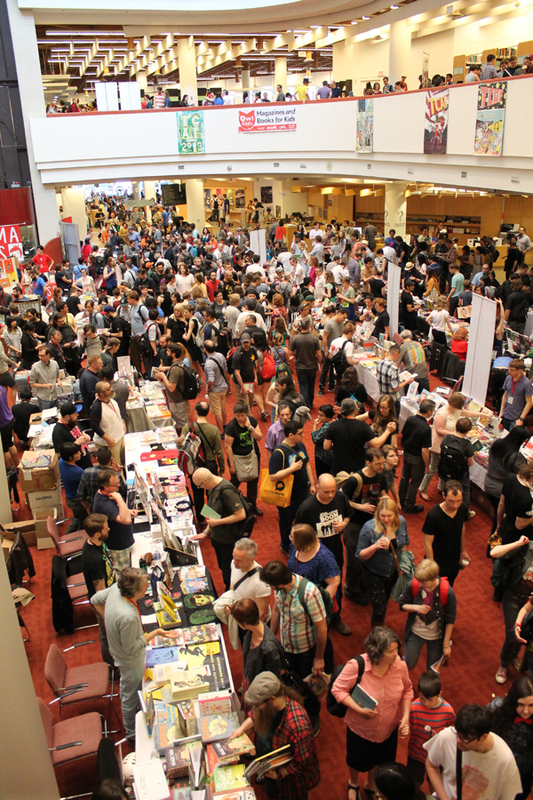 I’ve been exhibiting at comic conventions for about 15 years, but I’d never made it out to TCAF before. I’d been meaning to, because I’ve heard nothing but good things about the show. But it’s curated and the tables sell out quick, so it seems every year I wait too long to register. 2014 was going to be different: I got my application in early, got a passport for this first time ever, and bought a cheap plane ticket well in advance. 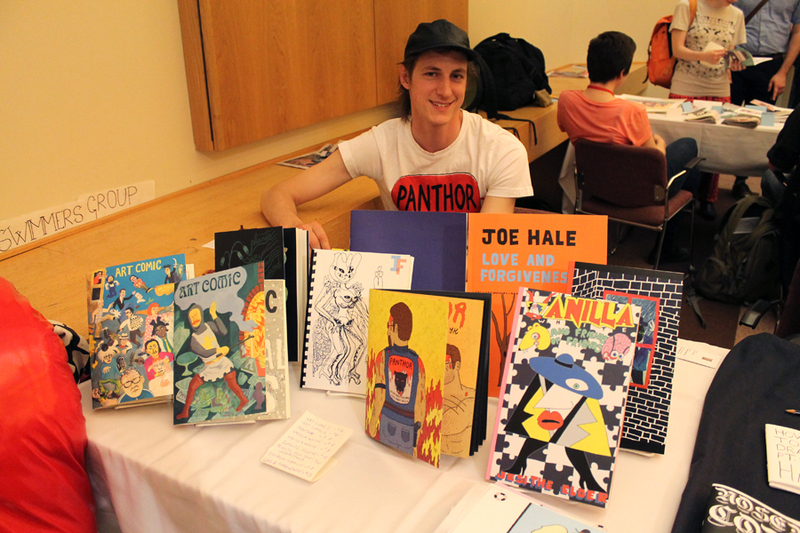 I’ve got to say, TCAF lived up to the hype. It was packed both days, and sales were pretty good. The exhibitors were well-curated and their were plenty of good comics to buy. 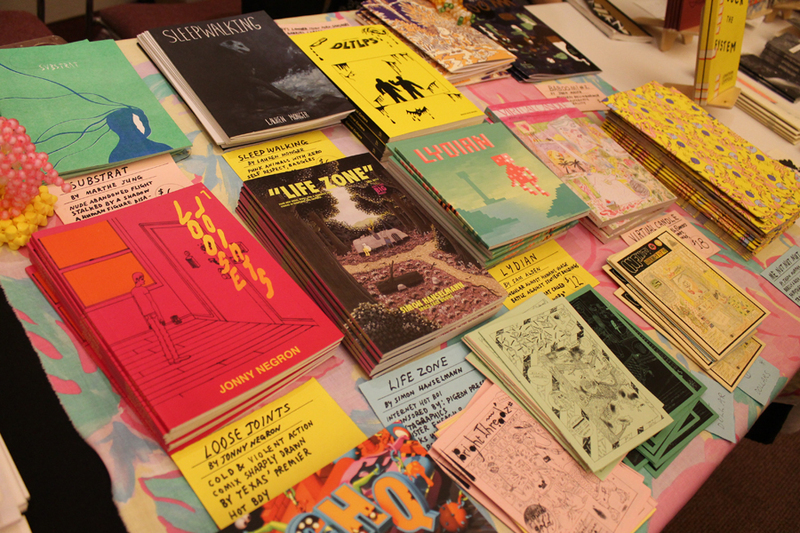 In terms of consistent quality, table to table, TCAF’s only rival is CAB (based on my experience, at least). There was an amazing selection of comics to be purchased. Hardly a stinker in bunch! It was located in a library, a large and posh one. This attracted customers from outside the comics community. THIS IS IMPORTANT. The show was well-run (except for a few hiccups). 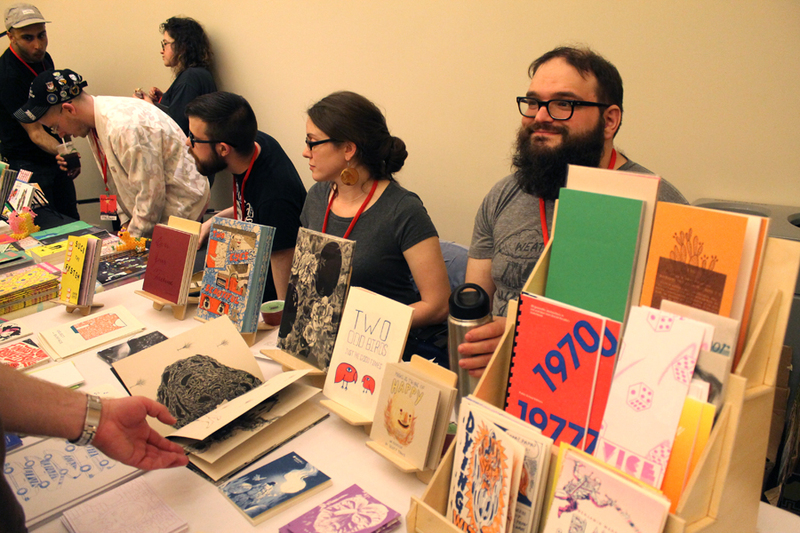 TCAF offered exhibitors support and helpful advice for lodging, crossing the border, etc. Admission was free. We need more free shows. Early table set-up was delayed for quite a while on Friday night. This was a blunder and exhibitors were annoyed. The exhibition area was housed in several different rooms. Like I’ve said before, this means there was a room that was the best, and one that was the worst. Some tables saw far fewer customers based on where they were located. I’m not vehemently against exhibiting in multiple rooms. Sometimes it is a fair trade-off for inhabiting a cool space. But this problem will always persist. The upstairs exhibition area was housed in a smaller room. To prevent overcrowding and fire code violations, volunteers kept a tally of visitors as they entered the room. When the room was full, attendees couldn’t enter till it emptied a little. The line to get in wasn’t long when I visited, but I’m told it it stretched far at times. I’ve never had to wait in line to enter the exhibition area of small press / indie-friendly comics festival. 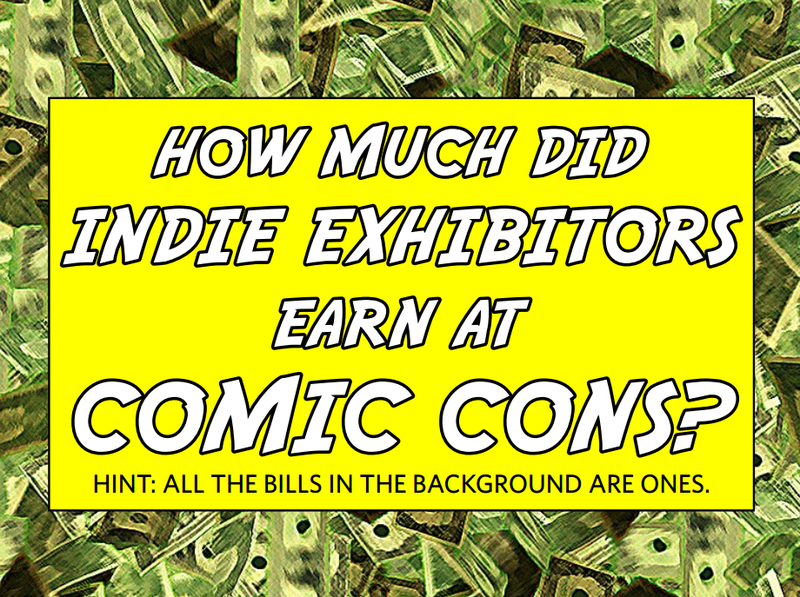 It was frustrating to attendees and exhibitors, and it was the number one gripe I heard last weekend. I’m told it’s not a new problem, and the same thing happened last year. What’s to be done about this location? Nothing, maybe. This is a really awesome building in a prime neighbor. Being a public library, it welcomes a diverse audience, something comic conventions usually fail to do. That might be worth all the challenges the location brings. If you’re an American like me, exhibiting at TCAF can be challenging. Here are some tips I learned along the way. If you’re coming from New York, do yourself a favor and get a plane ticket. If you do it far enough in advance you can get one for around $200. That’s twice as much as a round-trip bus ticket, but you’re on the plane for an hour and a half. A bus ride is at least 10 hours. When crossing the border, just tell them you’re on vacation and you’ll probably be fine. don’t freak out (I was freaking out a little). It was recommended that I ship my books ahead of me, but do you know how much international shipping costs?! So I decided to take a chance and, for a $25 bag fee, I brought my books in my luggage. I got through customs just fine. See if your bank has a Canadian partner that allows you to withdraw Canadian cash without extra fees (for example, Bank of America has this sort of relationship with Scotiabank). If you don’t have a better option, consider staying at the St. Mike’s dorm. To be honest, the place is kind of gross. It looks kind of like a derelict hospital ward from the 70s. BUT, it’s just a few blocks away from the show and for $50 a night you get a private room. I’m no princess. As long as I didn’t bring bedbugs home (fingers crossed!!!) I’ll consider it a bargain. Partner with your friends to get a large shared tablespace rather than doing a half table by yourself (I didn’t do this and I wish I had). Since the quality of table placement is hit or miss, you can mitigate it by having the right neighbors. And by taking up a larger amount of real estate, collectively, you command more of a presence. Bring plenty of books to this show, rather than minicomics. Everything on my table with a square binding (all priced $20 and up) sold out in the first day. This crowd prefers books to floppies and zines, it seems. Anyway, that’s my two cents. I liked TCAF enough that I’ll probably go back next year, if I can. And next time I’ll work up the courage to talk to Chester Brown. A crowd waits for early set-up on Friday night. Kriota Willberg visits Alec Longstreth and Greg Means at the Phase 7 / Tugboat table. 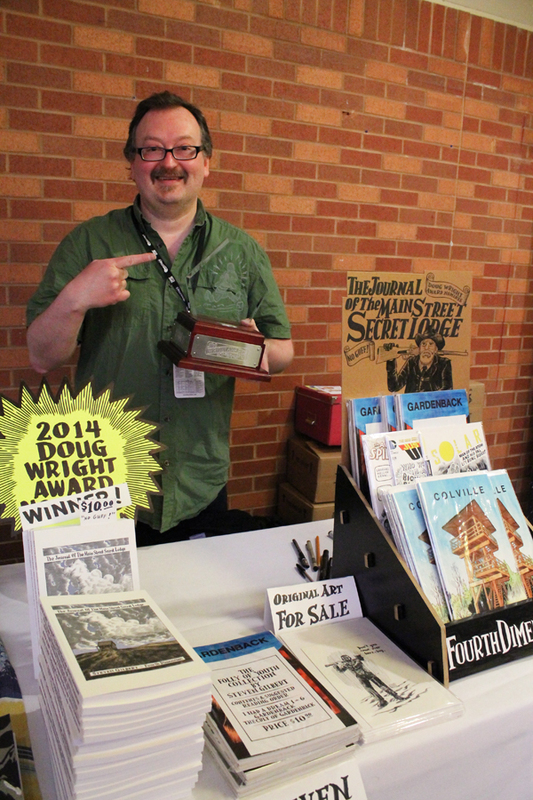 I happened to be tabling next to Steven Gilbert, who took home a Doug Wright award! The other winners this year are Michel Rabagliati and Emily Carroll. New discovery! This is a Toronto-based collective called Friendship Edition. their stuff looks good. 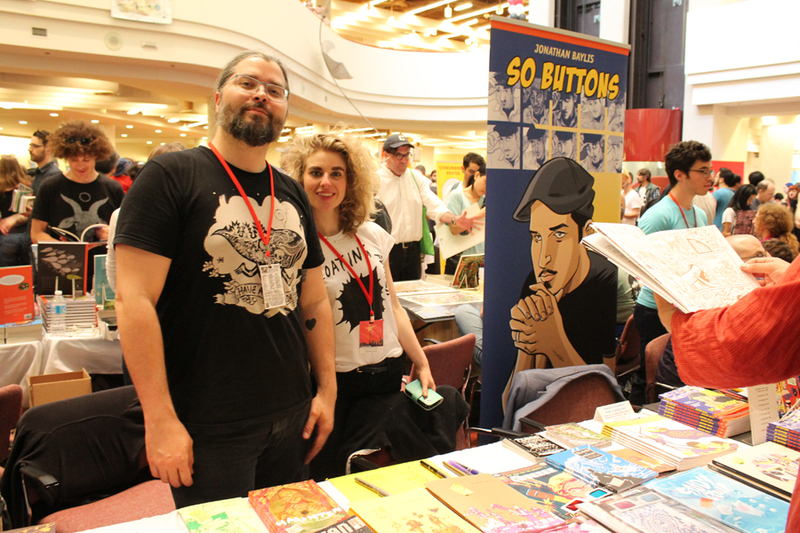 Jen Vaughn and Jesse Reklaw at the Fantagraphics table. Robin Ha, Joan Reilly, and Ellen Lindner. Stop reading and get back to work, ladies! Kuš! came all the way from Latvia! Gregory Benton and Jon Chad sign their respective books. Raighne Hogan and Justin Skarhus at the 2D Cloud table.